Dr. Tristi Muir is currently a Professor and the Chairwoman of the Houston Methodist Hospital OBGYN department. She is board certified in Female Pelvic Medicine and Reconstructive Surgery and Obstetrics and Gynecology. Dr. Muir has developed a passion surrounding health care for women. Her specific areas of interest are urinary incontinence and pelvic organ prolapse. Dr. Muir received her undergraduate degree in Chemistry and Biology at Lewis and Clark College, where she then went on to receive her medical degree from Mayo Medical School, in Rochester, Minnesota. While a medical student, Dr. Muir received the Ciba Geigy Community Service Award and was selected as the Graduation Speaker by her peers. She completed her residency training in Obstetrics and Gynecology at Texas A&M Health Sciences Center, Scott and White Hospital and served as chief administrative resident in her senior year, where she was then inducted into the Alpha Omega Alpha Honor Medical Society. She was selected as Resident Teacher of the Year during two of her four years. 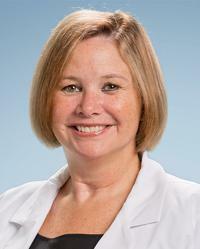 Dr. Muir completed her Female Pelvic Medicine and Reconstructive Surgery Fellowship at the Cleveland Clinic. Dr. Muir is the author of number scientific papers and book chapters, and has received numerous teaching awards – she has also been selected as “Provider of the Year”. Dr. Muir has presented podium research presentations and postgraduate courses at numerous national and international meetings. Dr. Muir served in the United States Air Force and was a Distinguished Graduate of Commissioned Officer Training. She served as Lieutenant Colonel at the time of her honorable discharge. Outside of work, Dr. Muir loves spending time with her family, exploring new places, and is a sports enthusiast.